Create a task by simply entering the name of the task and hitting the add task button. Managing tasks is very easy and can be done in three different dimensions - Project wise, Team wise, Client wise. 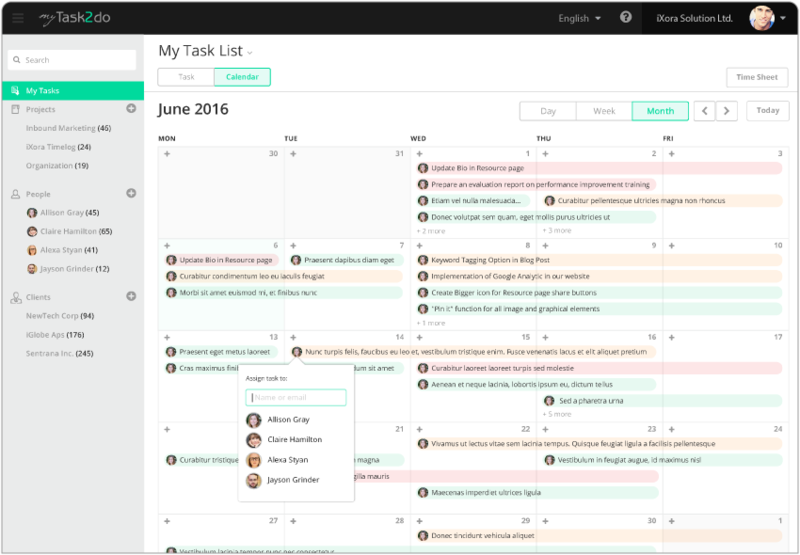 See the task for a week, month or year at a glance from the task calendar to get an idea of the task load and create new task on dates as needed. Plan and manage tasks by dragging and dropping tasks on to projects, people or dates inside the calendar for quick updates. Add time log entries on task from the task list with the option for closing it if it is completed. 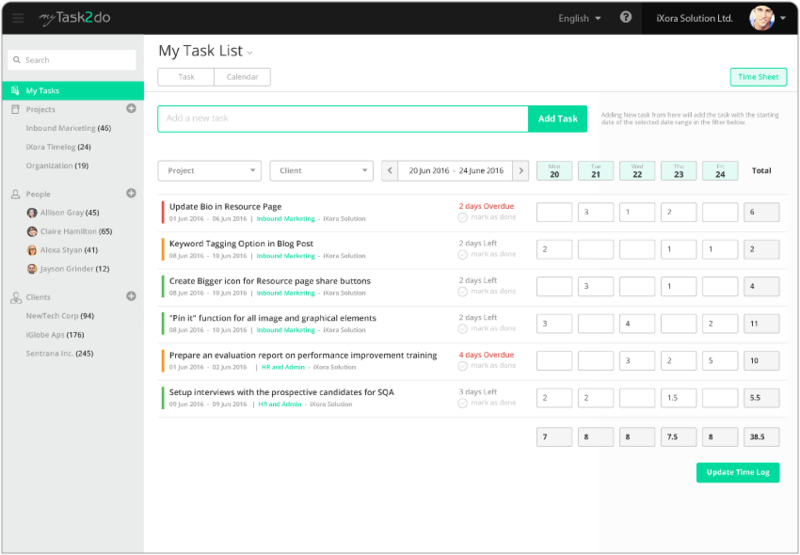 View the task list and time logs of a week with the option to update the time logs as needed. 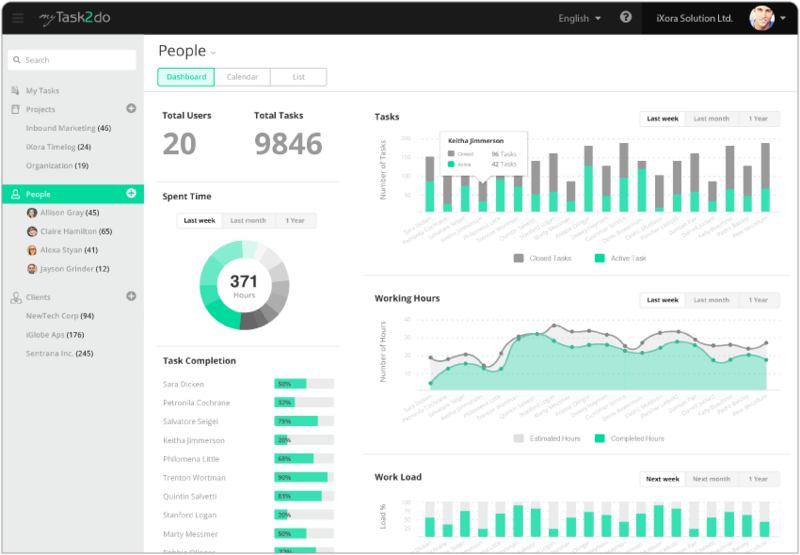 The dashboards in different context gives an overall idea of how things are progressing. Task counts, work load, recent activity log, and many other little things like these show a real-time picture of the work being done. Get notification mail with the list of pending tasks for the day to keep updated on the work to be done as well as any important changes to tasks. View the task history at a glance and collaborate on tasks by adding comments, attachments and checklists from the task details. 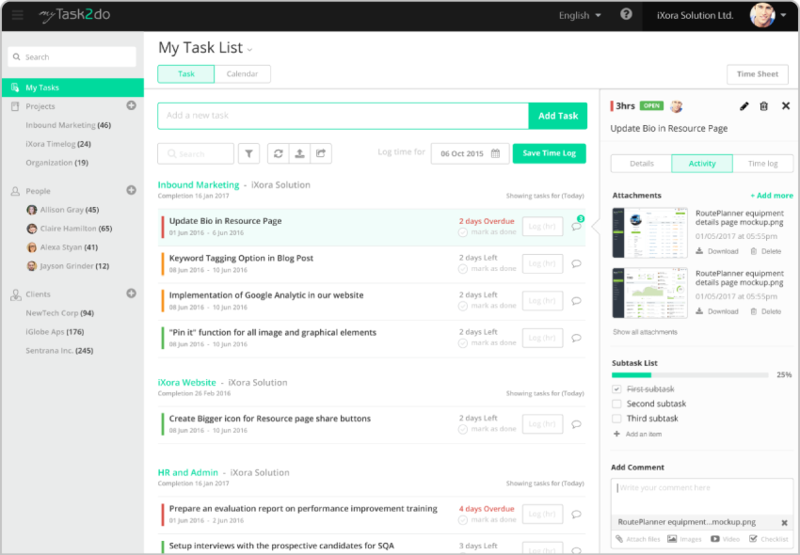 myTask2do is a fully responsive application that runs in any platform like - mobile devices, web browsers, inboxes, and more. 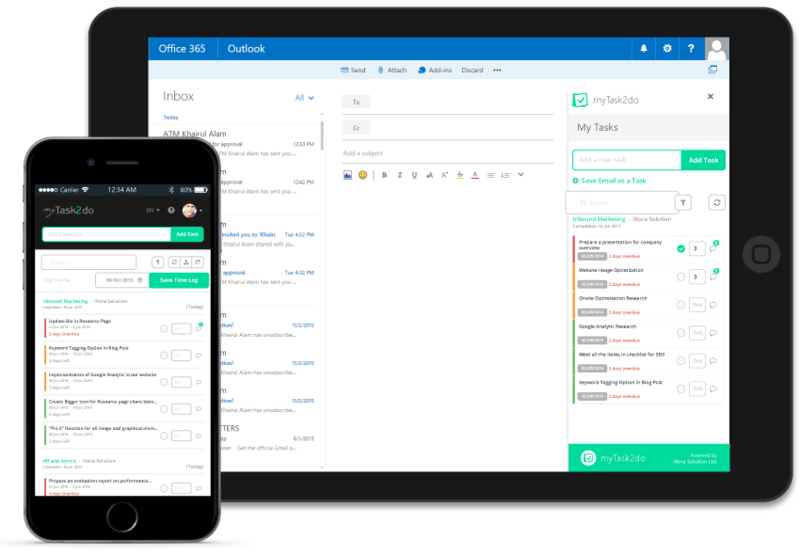 Access from inside Outlook for your office365 mail, create mails into tasks, update, log time, do almost everything myTask2do offers without leaving outlook. Get access to the full featured application during the 30 day trial period for you and your team. 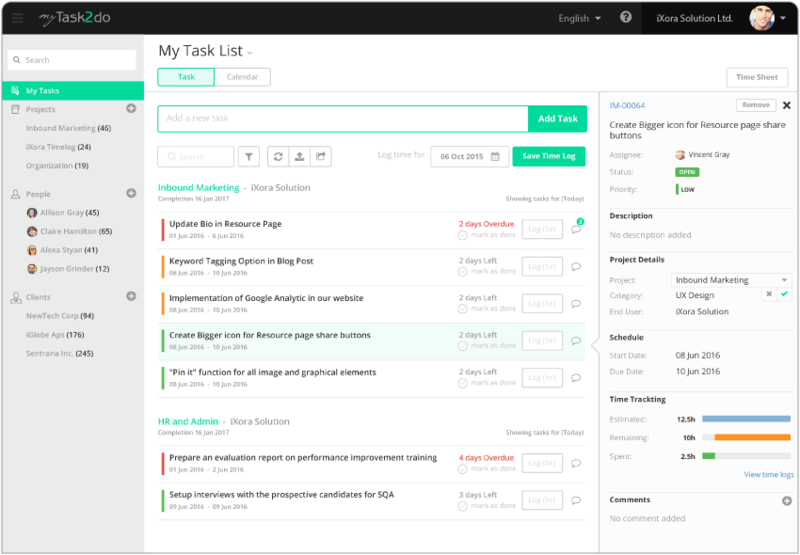 Want to Assign Task to myTask2do Team? Here are a few ways to assign task for us.